Being able to capture significant biometric data of handwritten signatures on smartphones, tablets and signature pads for stronger evidence of signed documents is an important requirement for some use cases in insurance in some countries in Europe. One of the world’s leading insurers is literally providing its customers, agents and executives with new signature experiences: wet ink signing on paper will no longer be required for customer onboarding, contracting and servicing. The company selected the Namirial as Digital Transaction Management provider after detailed assessment on consultation and support skills, software solution quality, offline capabilities, implementation flexibility, ease of integration and variable deployment options including on-premise. Namirial solutions are the new global corporate standard for digital transaction management, used for all new implementations and gradually replacing other solutions wherever existing processes are due for improvement. The insurer is gradually rolling out electronic signature workflow processes allowing all stakeholders to sign anytime, anywhere, on any device. Signers are relieved of the hassle of printing to sign and no longer require sending paper forms back to their insurer. Customers benefit of faster coverage confirmation, policy adjustments and claims processing. By 2020 Millions of documents are expected to be electronically signed each quarter. Electronic signatures were introduced in several processes of the insurer a few years ago. However, the experience with these solutions was mixed: Some were not providing a compelling user experience, not designed for omni-channel or lack in fulfilling legal requirements for customer-facing processes. Along all the stations of a buyer’s journey the insurer is striving to provide best-in-class customer experience. Customer channel preferences for buying and managing insurance are primarily driven by consultation requirements and personal confidence in digital processes instead of belonging to a specific age group, e. g. Millennials or Generation X. While an increasing number of consumers is confident to research and buy basic insurance 100% online, in-person agent consultations are still first choice for life insurance applications. Hence the new e-signature group standard is supporting both face-to-face engagements and remote signing scenarios. 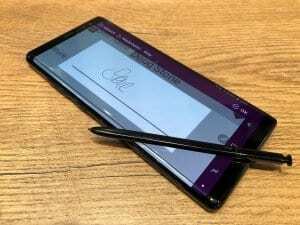 It is also providing various options to capture significant biometric data of handwritten signatures on smartphones, tablets and signature pads at the point of sale. Electronic signature processes are designed to comply with all corresponding legal regulations worldwide, including EU Regulation on electronic identities and signatures (eIDAS). These processes also comply with Anti-Money Laundering Directives (AMLD). Customers acting remotely may be identified in a video session including checking their ID prior to signing documents. Hence signed electronic documents carry sufficient evidential weight equivalent to documents signed on paper. More details about projects of this global standardization initiative will be revealed later in 2018. Namirial is a global leader in trusted security for Digital Transaction Management with solutions for user electronic identification, multi-factor authentication, digital certificates, electronic signature, electronic invoicing, and digital archiving. The company has been certified for many products and services including as an eIDAS Qualified Trust Service Provider. Namirial employs more than 350 people and is processing several millions of transactions every day. In addition to offices throughout Italy the Namirial Group runs subsidiaries in Austria, Brazil, Germany and Romania. Visit our website namirial.com or follow us on LinkedIn, Facebook, Twitter and YouTube.